For over a thousand years, the source of Biblical “tekhelet” was unknown, and we were unable to dye the fringes of our tzitzit with the special dye. Recently, however, this practice has been renewed due to research that has demonstrated that the source of this coveted dye is the ink secreted by the banded dye-murex snail. As a result of the suspension of the practice for so many years, there is no clear tradition regarding the use of the dyed threads, and there is much controversy regarding the way in which the tekhelet should be used. For example, one of the central questions pertains to the proportion of dyed to white threads needed in each tassel. As is well known, four doubled threads are tied to each of the four corners of a garment, resulting in eight threads, and one or two of the threads are wrapped around the others, creating a tassel. According to the Rambam, one out of eight of the threads should be dyed, and the rest should be left white. However, according to the Raavad, two out of the eight (an entire string) must be dyed. A third opinion is that of Rashi and Tosfot, who call for half of the threads to be dyed, while the others are left white. The singularity of this particular sugya is partially a result of the difficulty of understanding the relationships between the different Tannaic sources. 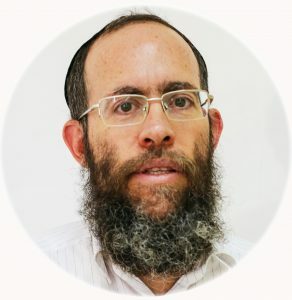 The tension between two braitot that seem to contradict each other leads to multiple interpretations, which in turn lead to the different methods advanced by the Rishonim. First, I will demonstrate that each of the different sources represent a fundamentally different perception of the essence of tekhelet. Through a close study of the contradicting sources, I will propose a way for winding the tzitzit that encompasses both the textual and philosophical considerations found in the sources. One who minimizes should not use less than seven, and one who maximizes should not use more than thirteen. One who minimizes should not use less than seven – to parallel the seven Heavens. One who maximizes should not use more than thirteen – to parallel the seven Heavens and the six areas of space between them. Most Rishonim understood that the beraita is discussing the number of bands needed to tie the threads together, and not the number of windings needed in each band. According to the beraita, the tassel should be tied together by no less than seven bands and no more than thirteen, each band made up of three windings. Tekhelet is similar to the [color of] the sea, and the sea is similar to the [color of] the sky. Because the tekhelet is similar to the sea and the sea is similar to the sky, its arrangement [of the thirteen bands] is made similar to that of the Heavens. Most of the ways of wrapping suggested by the Rishonim alternate between white and tekhelet bands. This is also connected to the symbolism mentioned in the beraita; there is a space between each of the Heavens, and the white windings symbolize these spaces, just as the tekhlet windings symbolize the Heavens themselves – hence the maximum number of thirteen bands. Specifically when we possess tekhelet, we must be prudent regarding the number of windings, as the tekhelet is clearly recognizable in the windings and is similar to the Heavens, while the white parallels the space between each of the Heavens. Now, however, when we do not possess the tekhelet, we need not be concerned regarding the number of windings. According to the Rosh, the method used for winding the threads is only significant when tekhelet is used and the symbolism is complete. If one cannot accurately create a symbolic reflection of the seven Heavens because of the absence of tekhelet, the number of bands is insignificant. Given that the symbolism of tekhelet is of prime importance in the performance of the halakha, it should also impact on the way used for winding the threads. The Rosh’s way of winding the thread calls for alternating tekhelet and white bands, while the Rambam holds that only the tekhelet thread is used for the windings. The Rosh’s method allows us to recreate the symbolism of alternating Heavens and space described in the gemara, and would thus seem to be optimal. But the method of winding ultimately suggested by the Rosh and Tosfot seems to violate this symbolism. Both the Rosh and the Tosfot hold that the first and last bands of the tassel should be wound specifically with white thread. Accordingly, a tzitzit with thirteen bands would inevitably have seven white bands and six tekhelet bands, upsetting the order of “Heavens” and “space” and destroying the symbolism recorded in the beraita! When he begins, he should being with white, so as to be similar to the color of the garment. When he concludes, it should be with white, because ma’alin ba-kodesh ve-ein moridin, we increase in holiness, and we do not detract from holiness. It would seem that there is no way to bind the threads with thirteen bands while complying with the requirements of both beraittot; we can not maintain the symbolism of the first beraita while incorporating the requirements of the second. The Rosh and Tosfot were therefore forced to compromise between the two. However, there may be an alternative method through which we can relieve the tension between these two apparently contradictory braittot. As noted above, the Rambam states that each band is wound with the tekhelet string, and the bands do not alternate between tekhelet and white, as the Rosh suggests. He therefore cannot explain the beraita calling to begin and conclude with white winding as demanding the creation of entirely white first and last bands. The Rambam must interpret the second beraita as referring merely to the first and last winding of the first and last bands respectively. In light of the Rambam’s interpretation of the beraita, we can create a method that upholds the requirements of both beraittot and maintains the symbolism of the “Heavens” and “space.” If we combine the positions of the Rosh and the Rambam, the tzitzit should be bound by alternating seven bands of tekhelet and six bands of white threads, as required by the first beraita, while the principle of beginning and finishing with white should be upheld by winding the first winding of the first band and the last winding of the last band with a white thread. This method of winding is not simply a technical compromise intended to relieve the tension between the two beraittot. It expresses a fundamental conception of the mitzva of tzitzit and the relationship between the tekhelet and the white strings, the result of which is a Halakhically and spiritually coherent method. In order to fully understand the depth of the new method and the way in which it blends the spiritual ideas found in each of the beraittot, we must engage in an in-depth analysis of the sources themselves and the tension between them. 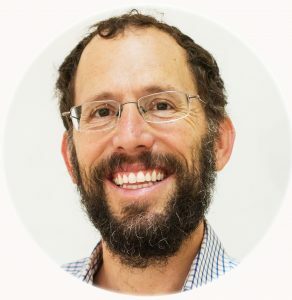 I believe that the difference between the beraittot is not simply the result of a Halakhic dispute. Rather, each of the beraittot represents a different approach to understanding the relationship between the tekhelet and the white threads. 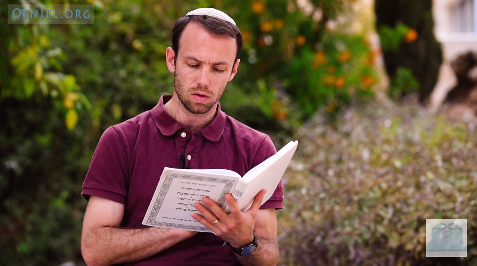 Meir says: How is tekhelet different from all other colors? For tekhelet is similar to the sea and the sea is similar to the sky, and the sky to the Throne of Glory, as it says, “And under His feet was the likeness of sapphire brickwork, and it was like the essence of the heaven in purity” (Shemot 24:10), and it says, “Like the appearance of sapphire stone, the image of the throne” (Yechezkel 1:26). The idea expressed by the beraita, that the tekhelet represents the Heavens, is thus part of a broader understanding, according to which the tekhelet not only represents the Heavens, but the Divine throne itself. According to the beraita, the seven bands of tekhelet represent the seven Heavens, and the white bands represent the space between them. Although we might conclude that the tekhelet and the white strings are of equal importance, it is evident from the statement of R. Meir that the primary symbolism in tzitzit is that of the tekhelet. This is made even clearer later in the sugya, where R. Meir compares the white threads to a simple seal and the tekhelet threads to a golden seal. Thus, according to at least one view, there is a clear hierarchy between the tekhelet and the white, and the tekhelet is clearly dominant. As opposed to the preeminence attributed to the tekhelet by the first beraita and R. Meir, the second beraita emphasizes the importance of the white threads; the first and last band (or, according to the Rambam, the first and last winding) of each tzitzit must be made of white threads. The reasoning for this is “ma’alin ba-kodesh ve-ein moridin” – the order of the actions taken when fulfilling mitzvot must have an ascending progression of importance. Therefore, one must finish the winding with a white thread, and not a tekhelet one. Clearly, the second beraita considers the white threads and their windings to be more important than the tekhelet threads and windings. Thus, one trend of thought stresses the importance of the tekhelet, while the other prefers the white strings. Why does the second beraita stress the white strings over the symbolic tekhelet? In order to resolve this, we must broaden our study and examine texts that do not directly relate to the sugya of tzitzit. I beheld till thrones were placed, and one that was ancient of days did sit. His raiment was as white snow, and the hair of His head like pure wool; His throne was fiery flames and the wheels thereof burning fire (Daniel 7:9). In this verse, Daniel describes God as “ancient of days,” garbed in pure white cloths, and white of hair. Daniel’s vision is the basis for the Zohar’s position that the level of revelation called “Atikta Kadisha” is characterized by the color white. According to the Zohar, other colors characterize lower levels of revelation. If so, white represents God in His most pure and revealed form, through which He guides and judges His creations. The distinction created by the Zohar between white and other colors is rooted in the far more basic difference between white and tekhelet. The Zohar explains that tekhelet represents judgment, while white represents mercy. In that context, it seems that tekhelet represents a lower level of revelation, Sefirat Ha-Malchut, while white represents a higher level of revelation, Sefirat Ha-Chesed. Thus, the white strings are holier than those of tekhelet. This mitzva of tzitzit includes blue and white, judgment and mercy, white fire that does not consume and blue that consumes and destroys… white from the right, blue from the left. These are simple linguistic similarities; however, we do find verses in the Torah that seem to relate to the dual symbolism created by the tekhelet and the white. And it shall be unto you for a fringe, that you may look upon it, and remember all the commandments of the Lord and do them; and that you go not after your own heart and your own eyes, after which you use to go astray; that you may remember and do all My commandments, and be holy unto your God (Bamidbar 15:39-40). According to the Zohar, it seems that these two dimensions of the mitzvot are symbolized by the different colors of the tzitzit. The tekhelet symbolizes the negative outcome created by violating the mitzvot, and the white represents the positive outcome of “be holy unto your God” that results from following them. The mishna (Berakhot 1:2) defines the time that one may begin to recite keriat shema as the time of morning when there is sufficient light to allow one to differentiate between tekhelet and white. 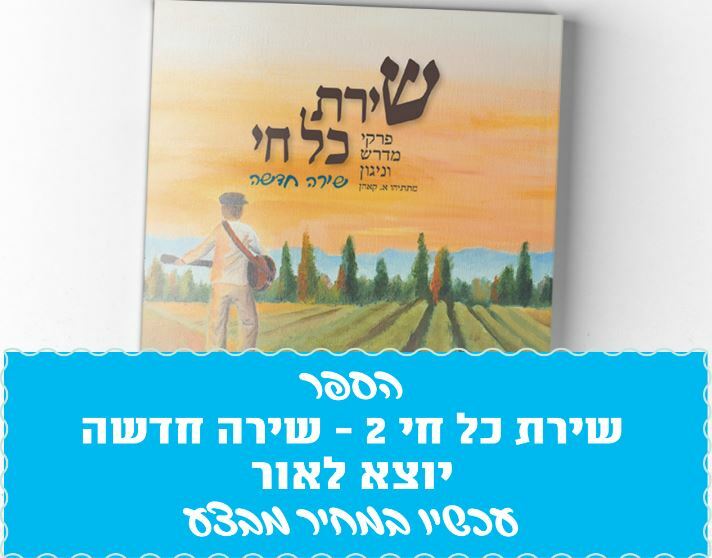 The Bavli (Menachot 43b) explains that this criterion is not simply a technical definition of the hours of the morning; it is meant to demonstrate the essential connection between the mitzva of keriat shema and tzitzit. “And you shall see them and you shall remember” (Bamidbar 15:39): see this mitzva and remember a different mitzva that depends on it. Which mitzvah is that? It is keriat shema, as we learn in the mishna: From when may one begin reciting shema in the morning? From when he can distinguish between tekhelet and white. Because of this, the editor of the mishna established: “From when is the shema read in the morning? From when one can distinguish between blue and white.” And because of this, the parsha of tzitzit is read in “yichud” [keriat shema, which is the mitzva of declaring yichud Hashem, the unity of God]. 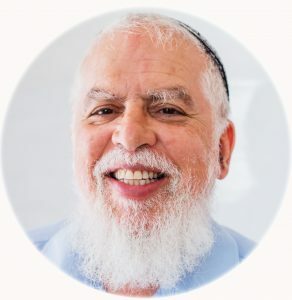 The different approaches to the understanding of the relationship between the two mitzvot can teach us much about the difference between the nigleh, the revealed Torah, and the nistar, the secret, mystical teachings of the Torah. Both Talmuds, after discussing the mishna, quote R. Meir, who believes that the tekhelet is a symbol for the Divine. 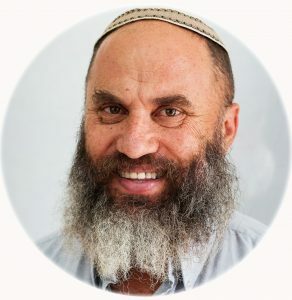 If the tekhelet represents the Divine, then in order to fulfill the mitzva of keriat shema, one must be able to differentiate between the Divine (tekhelet) and the mundane (white). Our ability to accept the kingship of God is dependent on our ability to separate it from the earthly and mundane. In contrast to the Talmuds, the Zohar views both colors as symbols of the Divine, each of a different level of revelation. The distinction between the tekhelet and the white is more subtle. 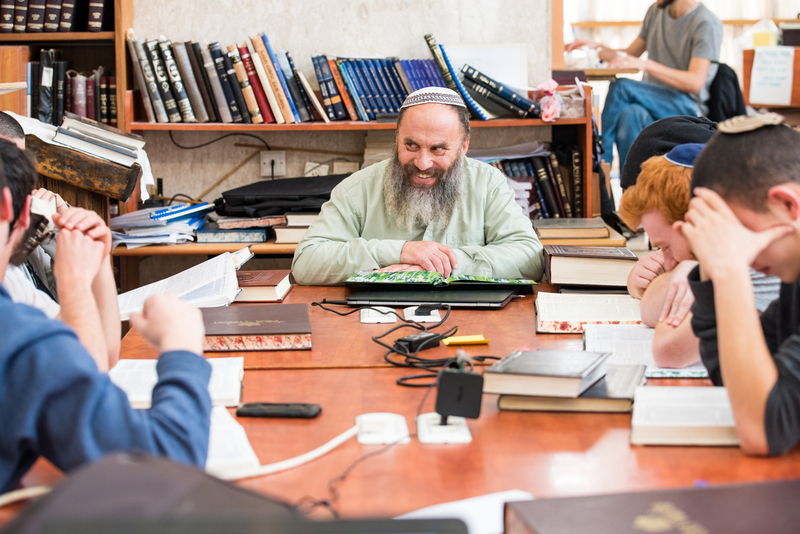 The mitzva of keriat shema is accepting the oneness of God, and must therefore be accompanied with an understanding of the different revelations of Divinity. In order to unify, one needs first to distinguish the unique meanings of each revelation from the others. 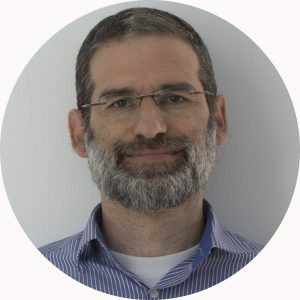 We saw earlier that there are essential differences between the two beraittot cited in the gemara, and that their differences are not simply the result of a Halakhic dispute. Rather, they represent two fundamentally different philosophies and understandings of the relationship between the tekhelet and the white. Regardless of the tension between the two beraittot, the Bavli accepts both in its halakhic ruling. The attempt to combine the ideas found in both beraittot is carried on with the rulings of the Rishonim as well. It is not uncommon to find a situation in which we try to combine different ideas in a halakhic ruling, but this specific case stands out because of the stark spiritual and halakhic contrast between the two beraittot. When trying to find a resolution that includes different ideas, we must ask ourselves if our attempt at inclusiveness is not ill-advised. Can it be that by combining two ideas, we destroy whatever truth or symbolism might have remained had we accepted one idea over the other? This question is relevant to the subject at hand, as we have interpreted one beraita according to the Rosh, the other according to the Rambam, and fused the two into one method. However, the fact that there are different outlooks on the matter does not compel us to choose one over the other. The entire discussion here relates to symbolisms and allegories, and we must bear in mind that a symbol is not uni-dimensional; one symbol may represent a number of ideas. Both beraittot were accepted in the halakhic ruling; the final halakhah includes both spiritual ideas. If so, the question becomes how we express both spiritual ideas found in the beraittot in the performance of the mitzva itself. The only way we can properly combine both ideas is through a commitment to the inner logic and order of our method. The method proposed by the Rosh lacks consistency, as it calls for six tekhelet bands and seven white bands, upsetting the symbolism of the seven Heavens. That of the Rambam lacks the alternation of colors suggested by the first beraita. The method proposed above, however, does not contradict the Bavli, and also appropriately represents the Heavens and the space between them. Acha bar Yakov said: There is one more Heaven above the heads of the angels: “And the image above the heads of the angel was like the awesome ice” (Yechezkel 1:22). Until this point, you have permission to speak. From here on, you have no permission to speak. This source teaches that above the highest of the seven Heavens, there is yet another Heaven. The last white wrapping expresses the level beyond the seventh Heaven, its color white as ice. We have discussed the controversy about the relationship between the tekhelet and the white strings at length, and I believe that the method proposed here expresses both approaches. As far as the bands, the tekhelet is clearly more dominant; there are seven bands, as opposed to the six white ones. The white is more dominant in the wrappings, as two of the tekhelet bands have a single white wrapping in them, raising the number of white wrappings from eighteen to twenty, as opposed to nineteen tekhelet wrappings. To summarize the proposal: We use a whole thread of tekhelet (as per the Raavad), thus creating two strings of tekhelet. The first step is to tie one double knot. The first knot is de-oraita, and it is therefore best to take into consideration Tosfot’s opinion that a double knot is required. The first wrapping of the first band should be white, and the rest of the band tekhelet. From here on, alternate between white and tekhelet bands. After each band, tie a simple knot (according to the Rambam). The last wrapping of the last band should be white. 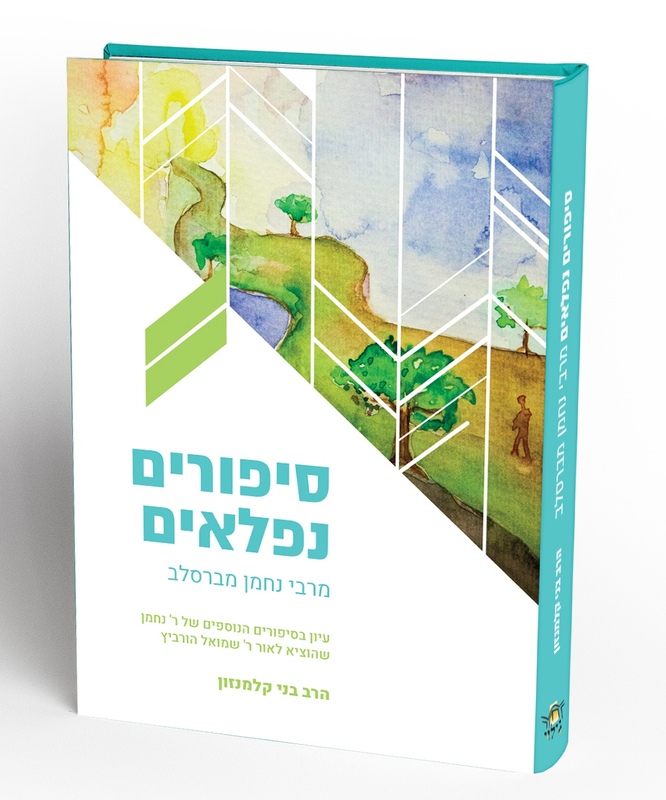 My thanks to Meira Mintz for editing the article and to Yoel Ross for translating it from Hebrew. This paper was first presented in the context of the 2010 Orthodox forum. The murex trunculus or the banded dye-murex is a medium-sized species of sea snail, a marine gastropod mollusk in the family Muricidae, the murex shells or rock snails. The number is dependant on whether only the blue or also the white threads are used. This will be elaborated upon later. Zohar, Parashat Naso 127b- 145a. The gemara states that the knots should take up one third of the entire length of the tzitzit. Since the total length of bands in this method is shorter than in others, it may be necessary to shorten the length of the threads once the wrapping is complete. The entire tassel must be at least twenty-four centimeters long, measured from the corner of the garment to the tips of the threads. However, if the threads are accidentally torn or cut once the tzitzit is ready, the tzitzit remains kosher. If several threads are torn, there are possibly halakhic problems, however; see Shulchan Arukh, Orach Chaim 12.